Various comments from directors of Marvel movies, characters rumors, and plot points set up in more than a few films, all seem to point to the MCU being totally different after Infinity War. Which means, the idea of a total reboot of the Marvel Cinematic Universe after epic events in Avengers: Infinity War isn’t out of the question at all. Here’s what we know about the upcoming Captain Marvel movie beyond Brie Larson starring as Carol Danvers: she’ll battle the Skrulls in the ‘90s and Samuel L. Jackson will reprise his role as Nick Fury but with two eyes. 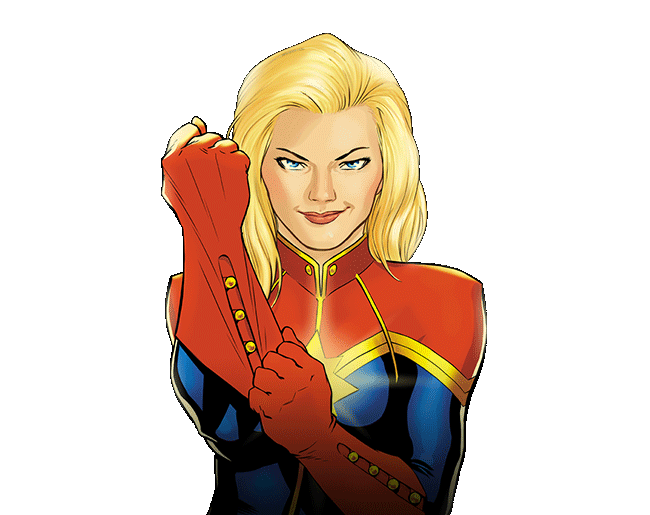 Carol Danvers as she appears on the cover of 'Captain Marvel (2014) #1'. At San Diego Comic-Con this year, the Russo brothers — who are directing Infinity War — said, “She’s not in Avengers 3” despite implying the opposite previously. Things do change in production all the time, so it’s possible that Captain Marvel was originally intended to make her debut in Infinity War at some point but was eventually cut for some reason. (Remember that at some point, Avengers 4 was commonly called Infinity War Part II, so a lot can change.) Captain Marvel’s origins in the MCU have been described as a “reinvention” for the character. But maybe that just means the MCU is getting reinvented, too. What if Thanos or somebody else rewrites Reality itself by the end of Infinity War? As crazy as that sounds, the Reality Stone could make it possible. Plus, we’ve seen the Reality Stone before. Thor: The Dark World give us the most information about the Aether, aka the Reality Stone — and what it does. The Aether appears fluid and ever changing rather than as a solid object. The Dark Elf Malekith wanted to use the Aether to plunge the entire universe into darkness. Which he could have done had Thor not stopped him. The Aether, aka Reality Stone, has the power to rewrite reality itself. At the end of The Dark World, Thor gave the Aether to the Collector. But in a scene from the Infinity War trailer that debuted at D23 and San Diego Comic-Con, Gamora stands in the trashed remains of the Collector’s Vault. That means Thanos might get the Reality Stone sooner than you might think. With the entire Infinity Gauntlet assembled, its wielder would be all but omnipotent, which means if Thanos — or somebody else with the glove — really wanted to, rewriting reality itself wouldn’t be all that far-fetched. In 'Age of Ultron', Tony Stark had a vision of a dark future, one that could still come to pass. A huge twist like this could also explain why Mark Ruffalo, the actor who plays Bruce Banner and the Hulk, told Good Morning America in July that “everybody dies” in Infinity War. Sure, a lot of people took it as a joke, but it also might be a genuine fact. Every Marvel hero could die only for the universe to be rewritten in some fashion at the end of Infinity War, effectively rebooting the entire franchise. This reset button would be like a better-executed version of X-Men: Days of Future Past, in which we see a team of mutants in a dark future die at the hands of Sentinels more than once. Each time, Kitty Pryde rewrites time by going back and warning the team. Could all of the Avengers be killed by Thanos and his Black Order only for the universe to then get a hard reboot? We know from The Flash and Flashpoint that smaller changes in time can change reality in many different ways. If the MCU was restarted from all the way back to the Big Bang, they wouldn’t need to explain how Carol Danvers got the insane cosmic powers she has, because in the new reality, she could have always been there. 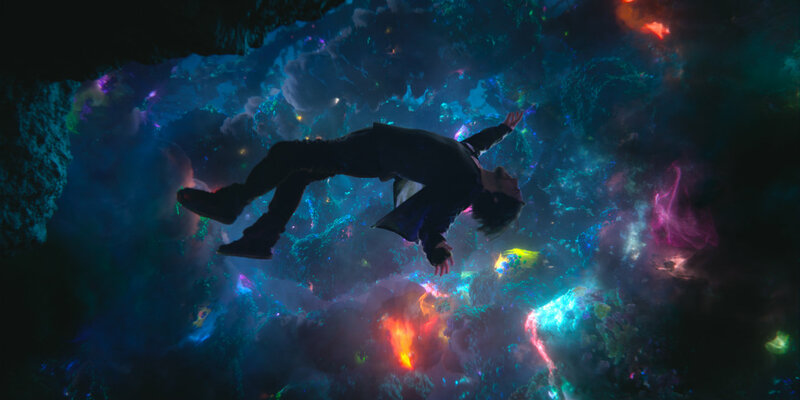 Alternate explanations for Captain Marvel’s absence could involve the quantum realm or even intergalactic travel — but neither of those are as fun. Maybe Danvers is imprisoned somewhere in the universe or simply traveling alien lands, and it isn’t until after Infinity War that she returns home. In an interview with Inverse, Dr. Spiros Michalakis, a quantum physicist that consulted on Ant-Man, talked about the quantum realm’s growing importance in the MCU. He said, “There are different ways that some of these ideas appear on-screen in a few years. Not just for Ant-Man, but also for Captain Marvel and all of the Marvel Cinematic Universe.” Is he referencing a cosmic rewrite at the subatomic level? We do know that Infinity War will end a decade’s worth of superhero stories, and that Spider-Man will kick off Marvel’s “Phase Four” in the Homecoming sequel. Feige told a crowd at Comic Con that Peter Parker will be the “person to hold your hand and lead you into the next incarnation of the MCU, in a grounded, realistic manner.” That’s something fans might need if the MCU goes through a universe-altering reboot. Avengers: Infinity War will premiere in theaters May 4, 2018 with Captain Marvel due out March 6, 2019 and Avengers 4 due out May 3, 2019.